We are sure that you will agree when we say that replacing your window coverings can be both time-consuming and expensive. After all, you have likely spent countless hours and dollars selecting just the right colors, patterns, or materials so your window coverings work well with your interior. You took every necessary step in ensuring that your new window coverings were properly measured and installed, and worked to your satisfaction. You may have even hired one of our wonderful design professionals to help you speed up the process. That is a lot of work, to be sure. One day, you noticed something was off. Perhaps your blinds stopped tilting when you spun the wind or pulled the cords. Or the ladder strings or lift strings have worn out, leaving you with sagging window blinds. Maybe your faithful furry companion chewed a hole in your Roman shades, or a young child snapped one of your window slats. Worse yet, the otherwise-functional power shades that you had installed simply won’t budge, no matter how many times you replace the batteries. Disaster scenarios aside, however, the biggest factor in the breakdown of your window coverings is use over time. 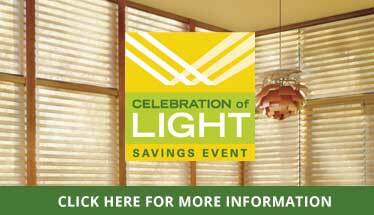 Every time you pull up your shades or tilt the slats, your window coverings lose durability. And considering that your blinds and shades are designed to block harmful UV rays from bleaching your interior with light, it goes without saying that eventually they will also suffer sun damage, which causes wear and loss of functionality. Whatever the case may be, Creative Window Coverings is here to help. No need to rip out your existing window coverings and throw them all away. Whether you purchased them from us or another dealer, you can count our professional window treatment repair service team to repair any damage or general wear and tear, with expert efficiency. Click here to request a free consultation and see what we can do to save your existing window coverings. This affordable service is available to all in the Rockville Centre, NY area, so send us a message, or call us at (516) 763-1345 today.